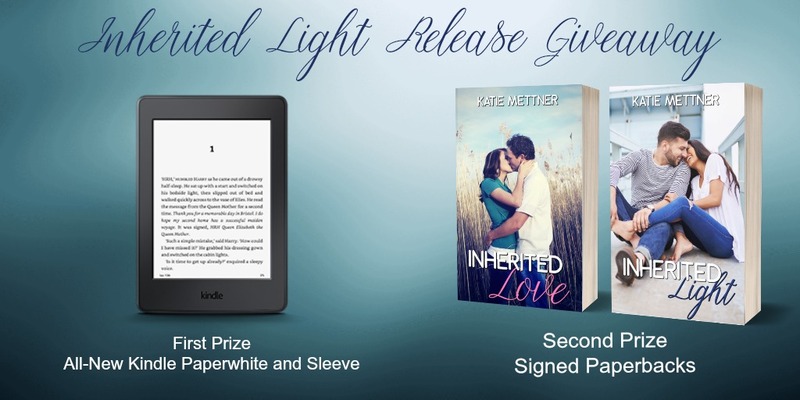 Today I'm revealing my cover for Inherited Light, and doing an awesome giveaway for a Kindle Paperwhite! 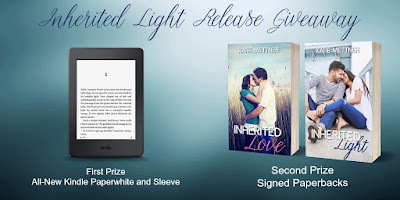 Read on to learn more about this fun, romantic, suspenseful series and enter to win! When Lorenzo Dalton inherited his Grandma Mabel’s BMW Coupe, he was a twenty-two-year-old kid without a care in the world. Now, two years later, his inheritance has lost its luster, and so has his life, until an old friend rolls through the doors of the Little Ivywood Humane Society. Catalina Chavéz, a successful artist, has spent fifteen years hiding her personal demons by hiding her heart. Now, staring thirty in the face, she’s ready to relinquish her recluse status and reconnect with old friends. 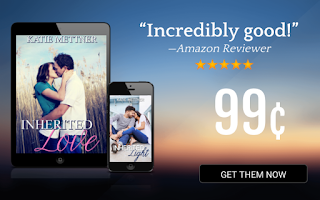 She just wasn’t expecting one of them to be a tall, dark, and handsome Lorenzo Dalton. 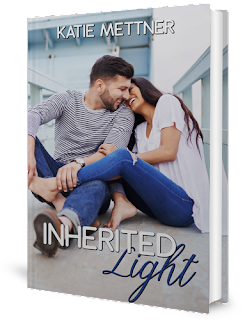 Cat and Lorenzo find they share the same taste in food, music, and dreams for their future. They also share a mutual enemy, Xavier Carrellton. Threats, lies, murder, and betrayal swirl through the air of Little Ivywood, California, and neither knows friend from foe. Someone wants them dead, and they must find the killer, before the killer finds them. Cinnamon Mabel Dalton always struggled to fit in. A musical savant at an early age, Cinn’s life was anything but easy. After a failed marriage and broken heart, she worried she would never find someone who understood her devotion to her craft, and her family. 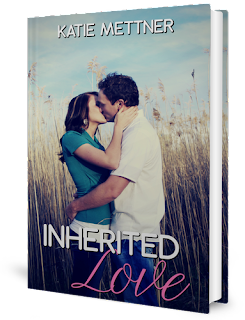 Then her Grandma Mable passed away, she inherited a two-hundred-pound Saint Bernard, and her whole life changed. Dr. Foster Kern, the director of the Little Ivywood Humane Society, spent hours with Mable Dalton being regaled with stories about her granddaughter, Cinn. Suddenly face-to-face with the woman he had heard so much about, he realized Mabel didn’t do her justice. 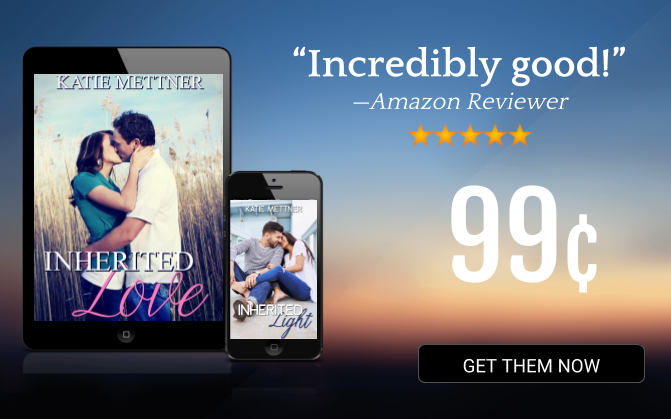 Cinn’s exotic looks and giant heart were exactly what he’d been searching for, but he truly believed a woman like Cinn would never be interested in a guy like him. 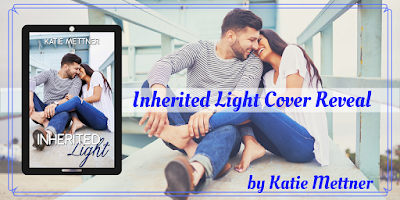 Cinn and Foster team up to protect her grandmother’s legacy, but neither of them could predict how quickly they would discover a mutual happiness they’d both been searching for. When fate unwittingly reveals Cinn’s hidden truth, she has two choices; trust her heart to Foster or run away from a lifetime of love.